Neuroscience has advanced the understanding of human thought, emotion, and behavior. This research has finally been brought together for personality development and behavioral change with the SSPS Roadmap for Development. As a SSPS Practitioner, you can put your clients on the road to better performance and better outcomes. No one theory of the brain can adequately capture the complexity and dynamism of human beings. It stands to reason that your practice shouldn't be limited by assessment tools stuck to a particular outdated theory, either. We've combined four distinct developmental approaches into a single powerful system for expediting client development and behavioral change. The bottom line: The brain has the capacity to modify its organization and make changes in its structure and function as a result of experience. What it means for you: The SSPS Developmental Framework exploits the brain's dynamic capacity for change in order to overcome a number of brain limitations for growth. Remember, the SSPS means more than personality assessment — this is about repatterning the brain itself. EThe bottom line: Interaction with others inevitably involves emotions, a brain-to-brain link, and this complex interchange of emotions hugely impacts our relationships and our everyday lives. What it means for you: The SSPS goes beyond surface characteristics and behavior descriptions, allowing you to access the emotional bedrock that drives behavior. You can expedite development when you're addressing root causes, not just the symptoms. The bottom line: Our brains change and become more focused with the practice of mindfulness meditation. This technique changes the brain and our sense of well being. What it means for you: Incorporating mindfulness empowers your employees or leaders with conscious, simple behaviors they can immediately achieve, and it opens up a meaningful, non-reactive, positive pathway to tangible growth. The bottom line: Our thoughts cause our feelings and behaviors — not external things, so we can change the way we think in order to feel and act in a positive fashion. 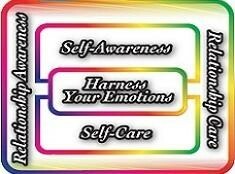 What it means for you: Like Mindfulness, CBT emphasizes conscious use of thoughts and emotion. Through instruction, guidance, and encouragement, you will actually be able to change your client's brain so they are no longer at the mercy of their emotionally driven behaviors. You won't believe the results that are now possible! To experience the power of the SSPS for yourself, take the SSPS Assessment. Help your clients or your employees achieve sustained growth by developing their brains with the SSPS. 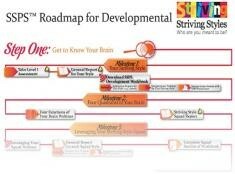 Use the SSPS Developmental Framework to change the wiring in your clients brains.